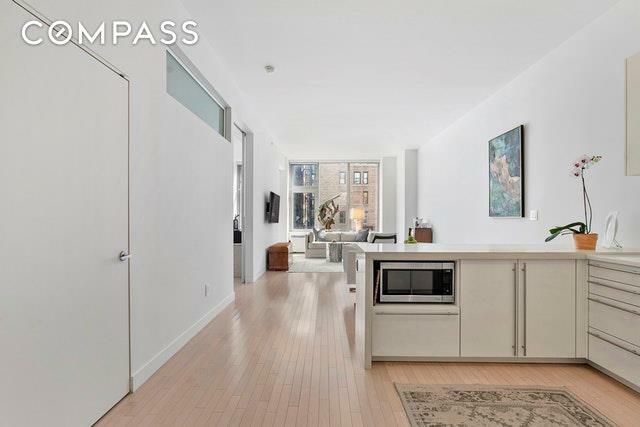 Bright, Spacious Condo in Prime Chelsea! ?Welcome home to residence 6A?? 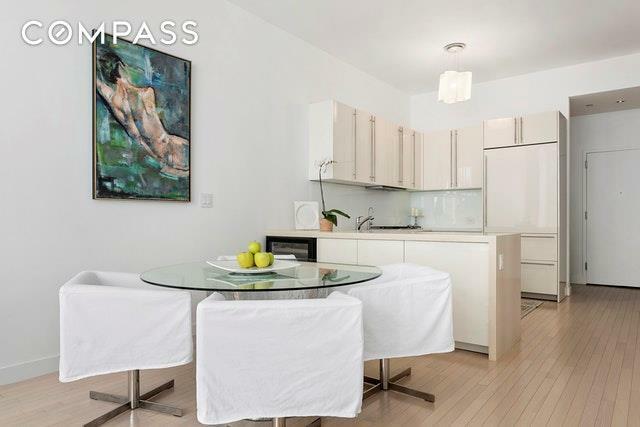 ?, a stunning corner unit with high ceilings?, hardwood floors, and oversized windows in a landmark condominium in the heart of Chelsea. This? sunlit, gracious? one ?bedroom ?with southern exposure ?has a large home office with? a generous custom ?closet and two full bathrooms. ?The open Poggenpohl kitchen? is? 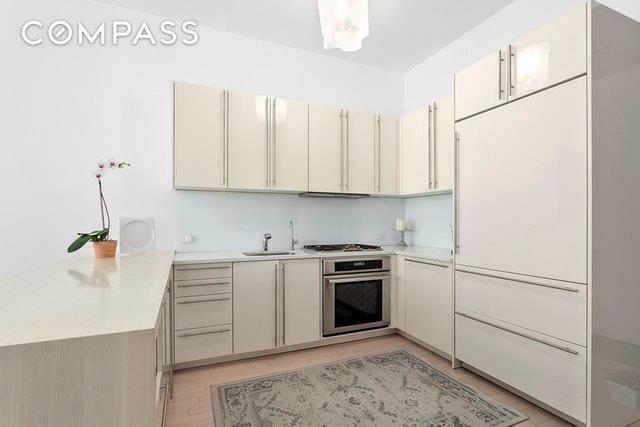 fully equipped with ?a ?Corian ?breakfast bar and top-of-the-line, fully integrated appliances including Thermador, Miele and Subzero, complete with a garbage disposal and a Bosch washer/dryer. 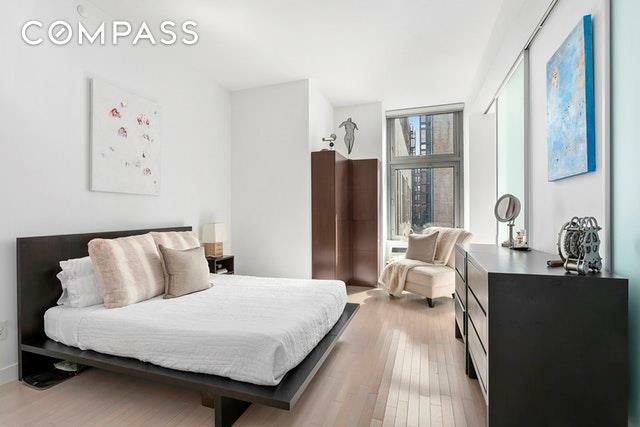 The ?serene ?master bedroom ?has designer glass sliding ?doors and ??? ?is the perfect retreat at the end of a long day. The master bath is a spa experience with Waterworks soaking tub, dual sinks, glass shower and ?an ?architectural column. Both bathrooms feature recessed lighting and? custom? finishes by Duravit and Catalano. BONUS: Huge Private storage closet on the same floor included with the purchase.Originally built in 18?92? and converted in 2007, formerly known as the Ladies Mile Historic District, The Cammeyer is pet-friendly, full service, boutique condominium with a 24 hour doorman, fully equipped fitness center and a magnificent 3600 square foot landscaped roof deck with breath taking city views. It is also ?centrally located?, just ?steps from Madison Square Park, Union Square? market?, several major transportation lines and some of the best restaurants and shopping? including Eataly and Trader Joes. ? Schedule your private viewing today. The building was awarded a five year tax refund in 2018, leaving 4+ years of tax savings for purchaser. ?Don't miss viewing this sunny and tranquil home! !